Moving the role of grappa from a digestif to a cocktail ingredient might seem strange; after all, grappa has a reputation for possessing a strong, acerbic taste – one that would immediately overpower any other spirits mixed with it. 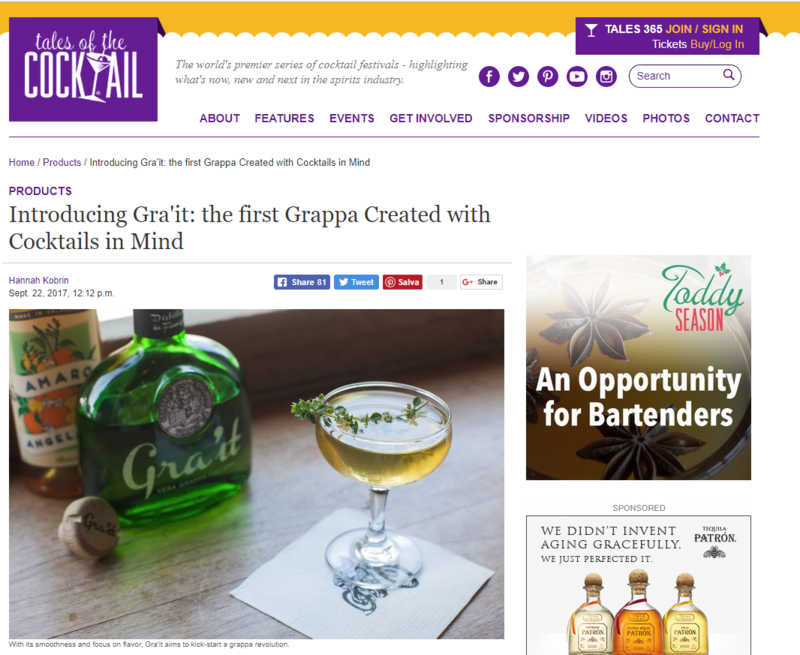 However, a new grappa brand is entering the scene, and it’s working hard to completely overhaul these outdated grappa stereotypes. Enter Gra’it, the brainchild of a partnership between… Read more.